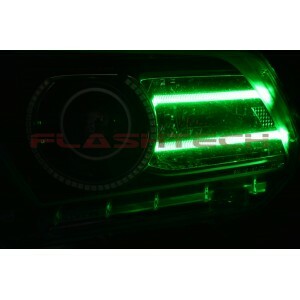 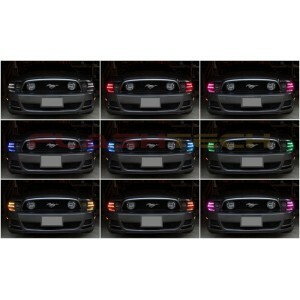 Ford Mustang Projector V.3 Fusion Color Change LED DRL kit, originally designed and uniquely manufactured by Flashtech, are the most advanced day time running light kit ever designed. 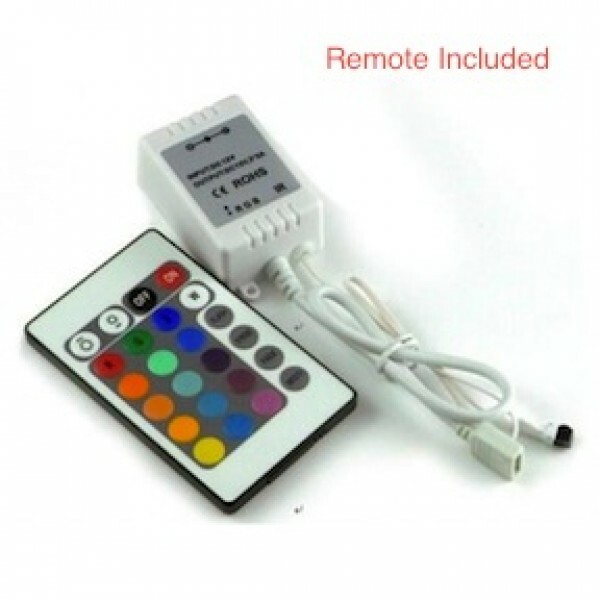 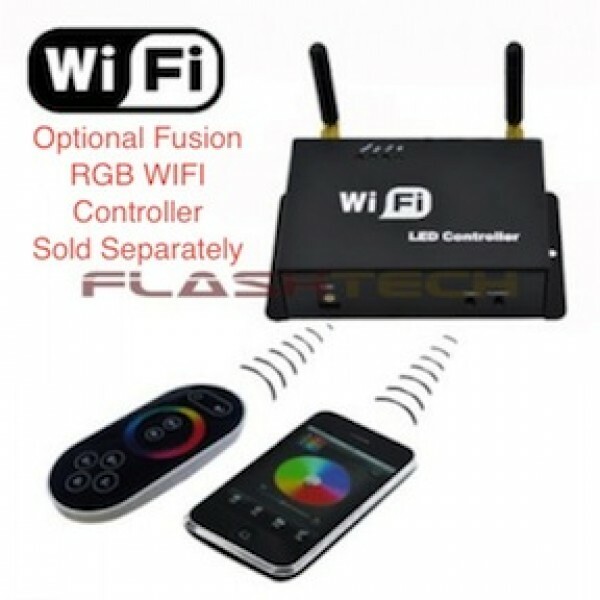 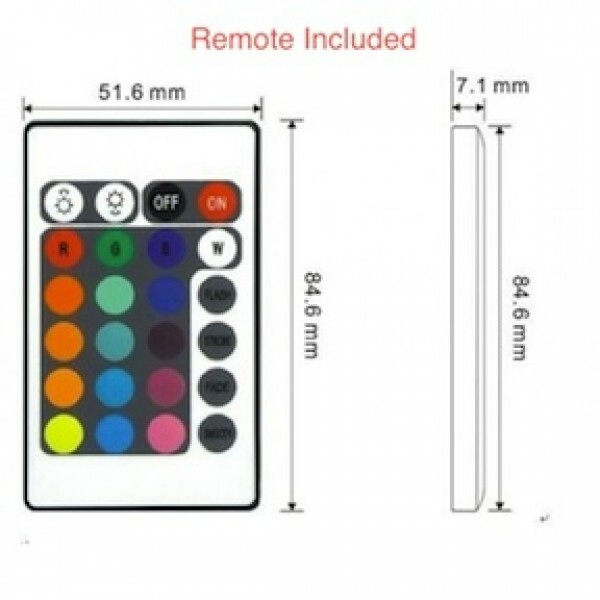 Flashtech’s Fusion color changing technology eliminates the frustration of choosing just one DRL color and enables complete day time running light customization with the press of a button. Flashtech Fusion Color Changing DRL kits come with everything you need to add a striking look to your existing headlights, including custom vehicle specific DRL's, complete installation instructions, and external LED drivers, which can be mounted outside of the headlight assembly, allowing for simple plug-and-play replacement if failure occurs. 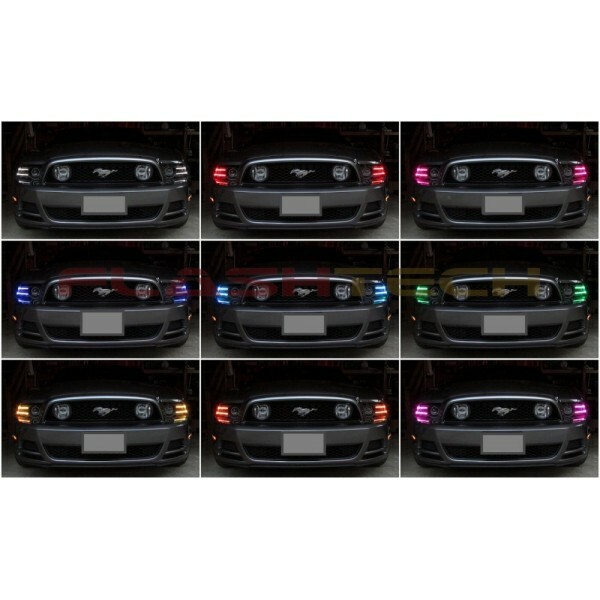 Everything you need to change your day time running lights in your factory headlight from white to color changing!